Darlene Geer Gould Davies is a JT Kid. She joined the Junior Theater Wing of the Old Globe Theatre in 1951, acting in seven Junior Theatre productions over the years and performing in six shows at The Old Globe. Darlene studied at the Pasadena Playhouse during the summer of 1956, entered San Diego State College in early 1957, and graduated with a B.A. in theatre in January, 1962. She was awarded the only SDSC dramatics award for the year 1961. Darlene earned her Master’s Degree in Speech Pathology in 1965 and an Educational Specialist degree from Point Loma Nazarene University in 1985. She undertook additional studies at Emerson College and Purdue University. After many years of teaching and supervising in speech pathology programs at San Diego State University, Children’s Hospital and Health Center, and Naval Regional Medical Center, Darlene retired from SDSU with the title Professor Emerita. She continues to hold a California license and national ASHA certification as a speech-language pathologist. Darlene was appointed and reappointed by five San Diego Mayors to five separate boards and commissions, including the Commission for Arts and Culture and the City Parks and Recreation Board. She served as Chair of the Balboa Park Committee. Later, she chaired the County of San Diego Commission on the Status of Women. Darlene served as a member of the Old Globe Theatre Board of Directors for 12 years. Among her awards and honors are: Salvation Army Woman of Dedication; SDSU Meliorism Award; San Diego County Mortar Board Outstanding Alumna; SDSU Technology Innovation Award; Darlene Davies Day in both City and County of San Diego; State of California Commendation of Darlene Davies Resolution introduced into the California State Senate proceedings by Senator Christine Kehoe; SDSU Monty Oustanding Alumna Award; Commencement speaker for College of Health and Human Services in Cox Arena; San Diego Junior League Charter Day Award; Naval Regional Medical Center award at 40th anniversary of the Speech and Hearing Center; JT Honoree for Alumni Achievement, 2013. Darlene co-produced 15 professional videos for Mingei International Museum, funded by Akaloa/Cargill foundations, which documented significant exhibitions. Those videos aired repeatedly on UCSD TV, traveled with exhibitions, and may now be viewed on Vimeo. Darlene has written and edited articles for Ranch and Coast magazine, where she is Arts and Culture Editor, for 20 years. She has authored three articles for the San Diego Journal of History, and is currently writing a continuing series about the 1915 Panama-California Exposition for Ranch and Coast Magazine. 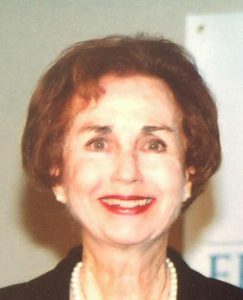 Darlene also authored a digital comprehensive and interactive three-part history of the SDSU School of Speech Language Hearing Sciences (1925-2013) for which a unique university website was created. Returning to her roots, Darlene is the official The Old Globe Historian. A clown named Dodo saves six dolls from the evil clutches of Rudolph Bernard Boo and his minion, Ugly. Watch as this runaway clown becomes the town hero!